Another quick lunch thrown together with ingredients I had on hand. This was my first time using bulgur. I am a fan! Love the texture, love it’s versatility. I can’t wait to try it in other ways. 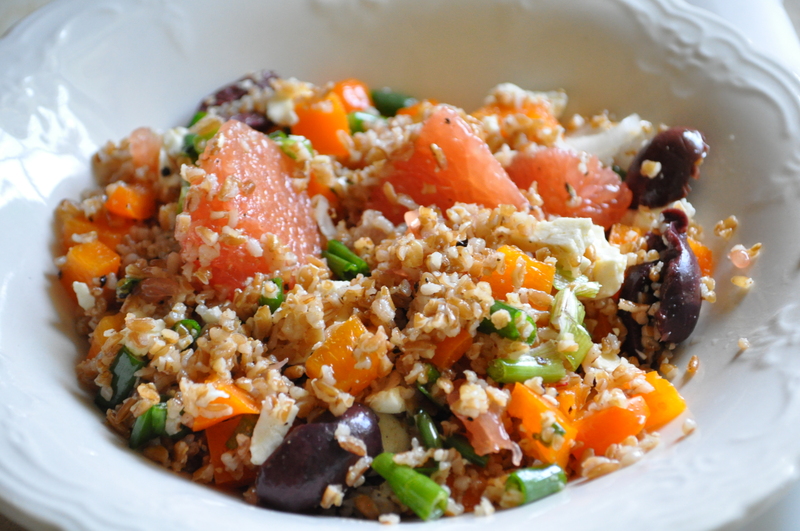 What is your favorite bulgur recipe? Allow the bulgur to cool as you prep the other ingredients. Combine the ingredients and serve. Makes 2 servings for a side salad or 1 large serving for a main dish. Cool recipe. I need to branch out with my bulgur usage. I love it in bread and tabouleh. I really enjoyed it. It always amazes me how much I have to learn about food/ingredients. And I have learned so much already.